Energy Efficiency & Reuse with S&L Systems | Smith & Loveless Inc.
Wire-to-water, S&L Non-Clog Pumps consistently deliver superior operating efficiencies (NEMA Premium Efficient rated motors plus high S&L Pump efficiencies). Our energy-efficient designs save our customers hundreds, and in some cases, thousands of dollars annually in power costs. And less energy demand also reduces carbon emissions - by millions of metric tons annually - required to produce that energy. Every little effort makes a huge difference over time. Unlike throwaway submersible pumps, Smith & Loveless Pump Stations boast the longest life cycle and the lowest yearly maintenance cost of any pump available in the marketplace today. Compare Smith & Loveless' 25 year average pump station life cycle cost to any submersible pump. The S&L Pump is hard piped, eliminating the common submersible recirculation problems that waste energy due to leaks at the connection between the pump discharge nozzle and discharge pipe. Our pumps do not have to be removed from the pump station for maintenance that can cause possible ground contamination. 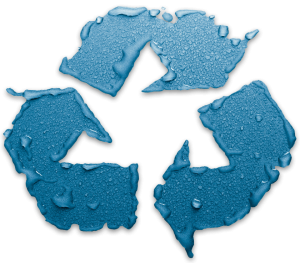 As water reuse becomes in vogue as clean water supplies become scarce, Smith & Loveless is proud of its legacy of designing and providing wastewater reuse systems for more than 30 years for both municipalities and industry (including California Title 22 approved systems). We offer several treatment systems capable of water reuse, lead by our innovative TITAN MBR™ (membrane bioreactor) system. From our fine-bubble Aeration & Mixing systems to simple S&L Mechanical Aerators and LOOP Brush Aerators, we offer competing technologies that offer end-users power and dollar savings compared to traditional coarse-bubble systems and high speed aerators.